This week was a landmark one for owners of the nearly 500,000 Volkswagen 2.0-liter diesel cars affected by the Dieselgate emissions fiasco, as U.S. District Judge Charles Breyer granted preliminary approval of VW’s settlement with regulators over the emissions-cheating vehicles. With that complete, VW has now rolled out a website for TDI owners to start filing their claims. After the Department of Justice announced VW’s unprecedented $14.7 billion settlement last month, all TDI owners could do was run some calculations to figure out how much money they could expect from VW. 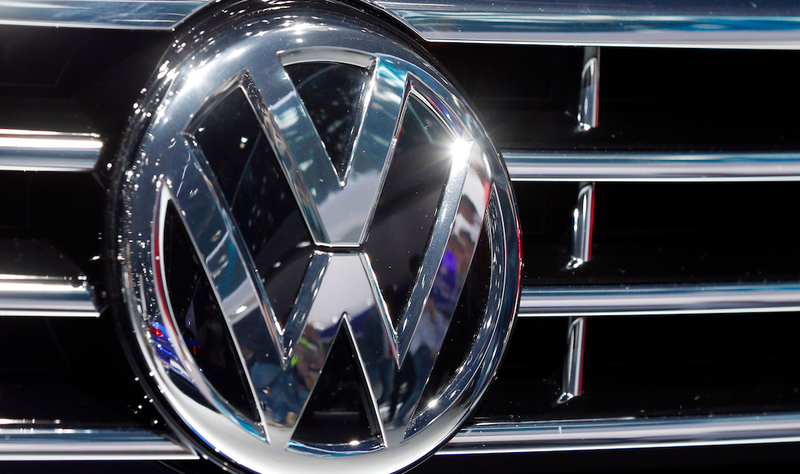 But with the preliminary approval granted on Tuesday, Volkswagen can now start gathering information from TDI owners to start the claims process for either a buyback or a fix if they want to keep their cars—a process that includes an automated version of the overly-complicated tables from our VW buyback calculation article. It’s actually a fairly straightforward process; here’s how it works. If you click “register,” you’ll be prompted for your Vehicle Identification Number, or VIN, which you can find either on your car’s registration, title, the side of your driver’s door, or at the base of your windshield on the driver’s side. Once you’ve plugged your VIN in, click “submit,” and the website will recognize your vehicle. Click “yes” if the vehicle stated on the screen is your car. Then you’ll be asked to type in your email address and a password to create an account. You’ll have to fill in three security passwords in case you forget your password and need a way back in. Then you’ll review your inputs and click “submit.” (Note that on the image below, the bottom half of the page is not shown in order to hide personal information). That link will send you to the login page, where you’ll input your email and the password you just created. The “Personal Information” section will ask whether the car is registered to a business, whether you’re filing the claim for someone else, and who the registered owners are. Then, on that same page, you’ll be asked for contact information and the address tied to the vehicle registration. The next section, entitled “Dealer,” will ask you to plug in your zip code and click “search.” That will populate a table below showing your nearest dealerships. This is the dealer you would take your car to for a buyback or modification, though you can change the preference later. Finally, you can review the three previous sections and submit. The next section, called “Understand Your Options,” will start asking you more in-depth questions about your car, financing, mileage, and your buyback or modification options. Since the buyback calculated by the software subtracts what owners still owe on the vehicle, this section most likely asks for information on the bank or institution on the lien as well as the amount still owed. The “vehicle” section asks for the odometer reading, which will be used to calculate the mileage adjustment in VW’s payment calculation. The section also asks whether the car has been totaled, if it was obtained from a junkyard, and whether the car drives under its own power. Finally, the software spits out your two options, along with how much you can expect to receive from VW. At the top of the page, a disclaimer makes it clear that this form isn’t technically a completed claim until the court has approved the final settlement, which VW’s Claim’s support representative told me would—hopefully—be sometime in October. Then, in the middle of the page is the buyback option, broken down into the September 2015 NADA vehicle value and the restitution payment. The bottom of the page shows the estimated restitution payment if you chose the “Emissions Modification & Extended Emissions Warranty,” which has yet to be approved by the EPA and CARB. Once you’ve clicked the bullet indicating which of the options you’d like to choose (you can always change this option later), you’re taken to the “review” page, where you’ll take a look at all your previous inputs before submitting everything. The earliest you can input for “tentative return date” in the application is November 1st. But to expect hundreds of thousands of VWs to be processed all on Oct. 18th is farfetched, as VW dealerships likely don’t have the capacity to handle all these buybacks at the same time. Owners will probably have to give it some time. If you have questions on this process, VW’s claims representatives at 1-844-98-CLAIM proved very helpful.